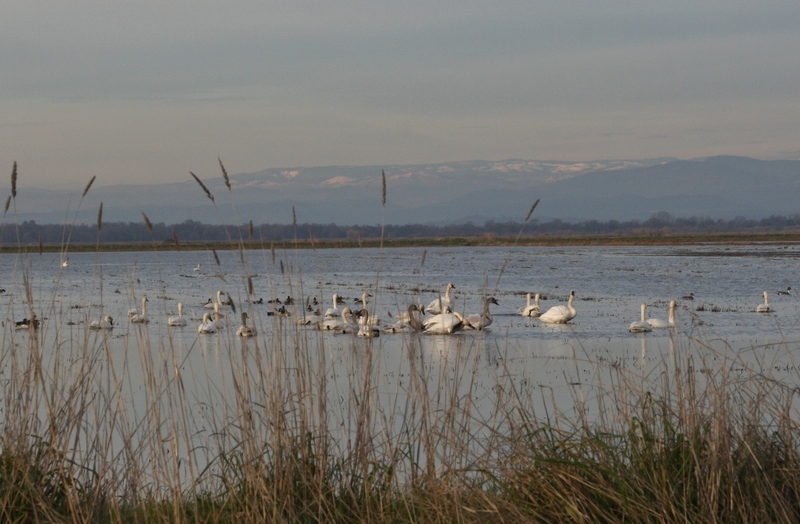 This entry was posted in California Landscape, Environmental Concerns, Sacramento Valley and tagged Climate Change, Marysville, Migration, national oceanic and atmospheric administration, NOAA, Patwin, Rice fields, Ross' Geese, Snow Geese, stone marker, Tundra Swans, White Fronted Geese. Bookmark the permalink. Wonderful words. I’ll keep returning to browse, rest assured. 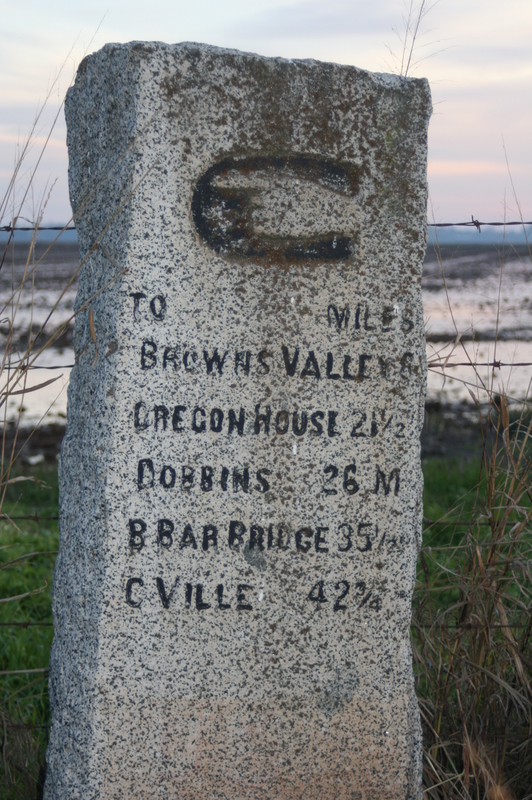 The mile stone is precious, especially what we think of as a modern abbreviation for C’ville. 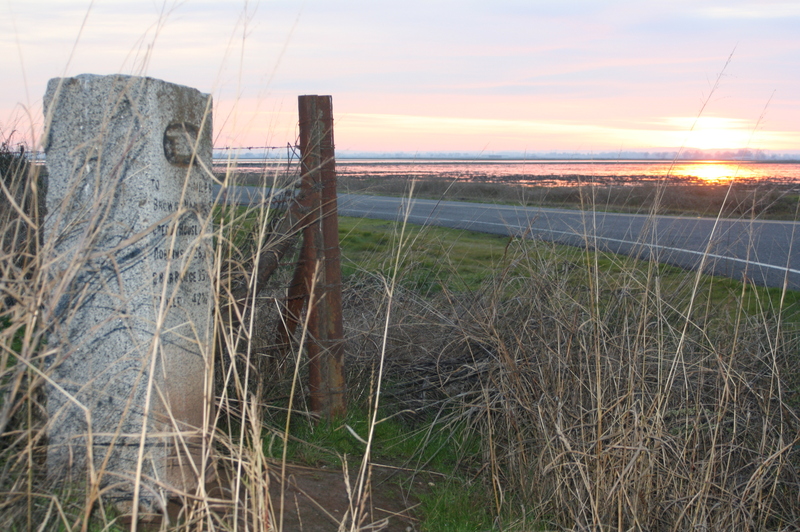 Whenever we drive now across the valley I think of years ago, when Muir trekked across the great span of grass, and into the future, using Dale Pendells image of the great bay, and pondering the troubles of having to sail from Sutter Buttes to Diablo just to see my folks. This is lovely Shirley. Again you make me want to be there watching with you. Hurry up with that book, can’t wait to read it. You can read a bit of it on Amazon. Authors name is David Edward Walker. Thanks for the reference. I’ll have to check it out. Beautiful, very nice Shirley, I too love those wetlands and the exuberant waterfoul.